British Journal of Physiological Optics, Vol. 4, No. 1, January 1930., pp. 4-6. Oval rock-crystal inlay: ground and polished, with one plane and one slightly convex face. 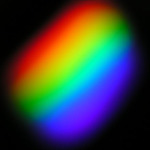 It has been regarded as an optical lens but would have been of little or no practical use. 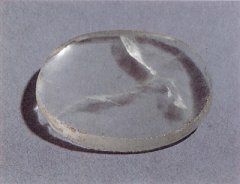 When it was found by Layard this oval piece of ground quartz or rock crystal was immediately identified as a lens, and it has come to be known as the 'Nimrud lens'. It could certainly have been used as a crude magnifying glass, with a focal length of 12 centimetres from the plane surface. Over the years it has been examined by a number of opticians (e.g. Gasson 1972), many of whom believe that it was deliberately manufactured as a lens. However, although this piece of rock crystal has been carefully ground and polished, and undoubtedly has optical properties, these are probably accidental. 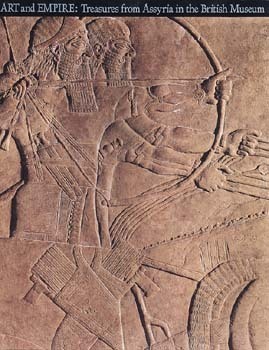 There is no evidence that the Assyrians used lenses, either for magnification or for making fire, and it is much more likely that this is a piece of inlay, perhaps for furniture. This is supported by Layard's statement that this object 'was buried beneath a heap of fragments of beautiful blue opaque glass, apparently the enamel of some object in ivory or wood, which had perished' (Layard 1853: 198). L. Gorelick & A. J. Gwinnett, ‘Close work without magnifying lenses’. ‘Expedition’ 23 (1981), figs. 7a-b.